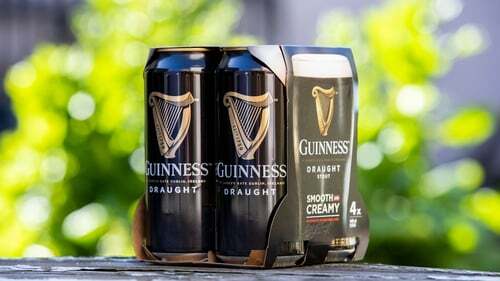 Photo courtesy of Naoise Culhane of Diageo's new plastic free packaging as seen on Guinness cans. The latest to make such an eco-conscious move is Diageo, who make Irish stout Guinness*. 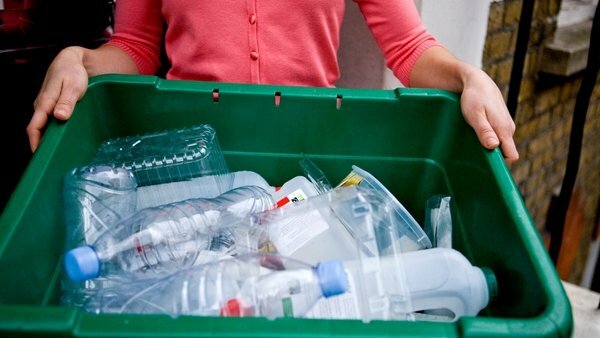 They’re set to remove plastic ring carriers and shrink wrap from their drink multi-packs – which include Guinness, Harp, Rockshore and Smithwick’s – and replace them with 100% recyclable and biodegradable cardboard. The changes will come into force in Ireland from August, and internationally from 2020. 1. By 2025, Danone, who produce Evian water, have committed to make all of their bottles out of 100% recycled plastic – and their bottles are already recyclable. 2. Love your Mars bars, Snickers and Bounty chocolate? The Mars company is working towards 100% recyclable packaging by 2025. 3. Next time you’re picking up a Marks & Spencer meal deal, be comforted by the fact they’ve announced all their plastic packaging will be 100% recyclable, and ‘widely recycled’ in the UK by 2022. 4. Nestlé’s plan is to ensure 100% of its packaging is reusable or recyclable by 2025 – meaning you’ll be able to eat your Rolos guilt-free. 5. The Coca-Cola Company has announced it will help collect and recycle 100% of the drinks packaging it sells by 2030. 6. PepsiCo meanwhile hopes to design 100% of its packaging to be recyclable, compostable or biodegradable, with a reduced carbon impact, by 2025. 7. Carlsberg are replacing plastic ring can holders with recyclable glue.